Against the backdrop of President Trump’s recent withdrawal of former President Barack Obama’s transgender bathroom guidance, a new California law governing single-user restrooms takes effect March 1, 2017. 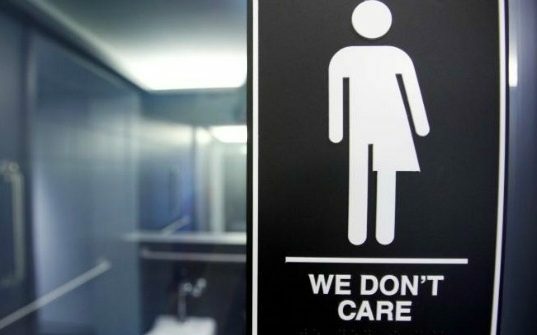 While the new law benefits transgender individuals, it is broadly focused on equal access to restroom facilities regardless of gender and requires single-user public restroom facilities to be gender neutral and to comply with new signage requirements. Note: California already has laws that require public K-12 schools to allow transgender students to use bathrooms and locker rooms based on their gender identity and requires employers to allow transgender employees to use restroom and locker room facilities based on their gender identity. Here’s what you need to know about the new law. Who must comply with the law? All business establishments, places of public accommodation, and state and local government agencies must comply. Thus, the new law broadly applies to all publicly available bathrooms whether in a hotel, restaurant, retail establishment, commercial facility, or state or local government building. Does the new law apply to all restroom facilities? No, it only applies to “single-user toilet facilities” which means a single-user restroom with a locking door containing no more than one stall and one urinal. What are the new signage requirements? The California Division of the State Architect has issued a bulletin to aid with compliance with the new law. The required door signage is an equilateral triangle superimposed over a circle (it looks more like an alien sign to me, but whatever). No pictogram, text, or braille (or universal alien language) is required on the symbol. Additionally, while there are no wall signage requirements, if wall signage is used it must comply with the California Building Code’s scoping requirements and have visual characters, raised lettering and braille, as well as satisfy certain installation height and location requirements. Now women and children get to use disgusting toilets men have peed all over. This is a horrible law. Why not just make it what it is and allow people to use restrooms respective to gender identity.